It seems that wearable technology is here to stay. Whether it be because of the buzz behind the Fitbit fitness tracker or the new Apple Watch, wearables are making a splash. Inside this fairly diverse category named wearables are different innovative (worn) technologies such as smart glasses (VR & AR glasses), activity trackers, smartwatches, Head-Mounted Displays, smart clothing, wireless earbuds, wearable cameras, wearable ECG monitors, hearing aids and more. Essentially wearables include any smart device that you can wear. This broad category is set on influencing our lives so to properly prepare we lay before you the pros and cons of the current different wearable technologies. 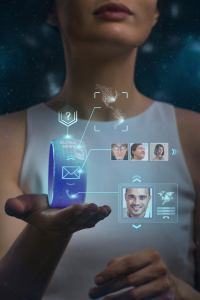 Most consumer and enterprise wearables can receive messages, communicate with others and provide visual aids, all the while the user’s hands remain free for use. Part of the advantages lie in the ability to better filter messages, alleviating users from the need to constantly draw their smartphone and check. Moreover, this gives users the opportunity to receive visual assistance in real-time while preforming a certain action. This hands-free concept is very lucrative in the enterprise setting, especially for hands-on industries such as manufacturing and the oil & gas industries. Many wearables today have the ability to retrieve different physiological parameters about you as a user. This gives way to drawing personalized health and fitness information that can revolutionize the health and fitness industries by allowing individuals to be better aware of themselves and possibly keep better track of possible ailments. Wearables on many levels were created in an attempt to simplify our daily functions. The idea is that analyzed data and critical information will be at the user’s immediate disposal, simplifying daily functions dramatically and making us more productive and efficient than ever before. Wearables are set to become one of the more integral devices in the IoT vision. The idea of connected devices will be ever more realistic and necessary once individuals will have a ‘personal assistant’ that will be able to speak with the surrounding environment and devices. This ‘personal assistant’ will be able to help the user remotely control other devices and therefore will become that much more essential. One aspect that needs to be better developed in many wearables is the actual accuracy of the physiological measurements. It seems that wearables in general and smartwatches in particular, just haven’t been able to retrieve and measure the data with sufficient accuracy. Sensors will need to be better positioned or used and data better analyzed. Since many wearables are still very much a concept in development and fairly new to the market, usability drawbacks are a natural part of the process. These drawbacks include uncomfortable design of the device and a user experience or user interface that isn’t as intuitive as expected. However, since wearables are such a personalized and frequently used instrument in the nature, device manufacturers will have to learn very quickly how to adjust any usability issues as this parameter is undoubtedly key for adoption. Users do not want to feel that their wearable is an obtrusive alien object on their body, rather an extension of themselves. Currently, many wearables are coupled with uncomfortable dongles and other charging cables that are irritating for users to handle. The wearable charging mechanism and battery life are one of the more critical challenges for various wearable devices. Device manufacturers are aware of this and therefore search for new ways to extend battery life on the one hand, while providing a natural charging solution on the other. Currently, many wearables are coupled with uncomfortable dongles and other charging cables that are irritating for users to handle. Wireless charging for wearables is becoming the inevitable reality as users are becoming impatient to other alternatives (cables/dongles/other weird attempts) that are simply impractical. With wireless charging, device manufacturers will also be able to create a truly waterproof wearable by eliminating the need for a USB port altogether.